Want hair that is shinier, healthier, sexier … oh and without a whole lot of effort? 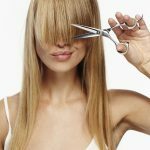 Then this collection of hair wisdom, quick fixes, and tips should make your must read list and fast. Heat Protectants: Hot Tool Addiction Without Damage? Over Conditioning Or Is Your Daily Conditioning Routine Silently Killing Your Hair?